You’re finally seated and the fasten-your-seatbelt sign is switched on. While people are installing themselves for a flight, two flight attendants pass through the plane. One from front to back, the other from back to front. Both have a click counter in hand to verify the number of passengers on board, with a cross check of two people counting. If they get the same number, the plane can leave, provided that number is also equal to the number of passengers that should be on board. If not, they have to count again and verify. It’s a bothersome process that you see surprisingly often. But it’s also a critical process, especially in times of people suing companies and, quite bluntly, terrorism. One passenger with check-in luggage but not on board can mean a whole lot of different, alarming things. In many offices, the way occupancy rates are calculated is reminiscent of the experience on planes. Of course you can calculate attendance if you have an access-control system that forces people to swipe a badge. But how do you then account for movement in the building, having a day of meetings in the cafetaria and so on. Another way is to hire a student, and let her count people and their use of space (desk +1, meeting room + 2) a couple of times per day for a week or two. If you have a small office, that might be doable. But the larger the office, the more labor intensive and the bigger the chance of miscounts and other mistakes. Now compare that to the parking space led indicators you see increasingly in car parks. Sensors notice a car in the parking space, and switch the light to red. Or they don’t notice a car and turn the light green. And you could use other colors as well, like blue for spaces reserved for disabled people or families with small children. It’s much easier to find a parking space in this way. And to manage occupancy. You have real time data on which parking space is available, in stead of a formula involving the number of available spaces, minus the number of cars that entered, plus the number of cars that exited, and then a margin taking into account that some spaces are reserved, not used because they’re deemed to small, or, or, or. Well, you get the point: sensors that accurately measure occupancy and record their findings continuously and consistently are not only a lot more practical, they also produce data from which you can derive a wealth of valuable information. And that’s all about one single building. Imagine the data on availability of all these car parks combined in a navigation system. People can see in their cars where there’s a space available, and all the data on usage can inform important decisions about building more parking spaces, traffic flow, visitor preference and so on. But this is not a story about parking your car. This is about workspace management. How do you know whether you have sufficient workspace in a city or region. Do you need more? Can you make do with less? Surely you can download a dataset from the access-control systems. Or hire a small army of students. If we go back to the airplane example, this would be like counting the passengers on board with the doors still open, and people can still get on, or off, the plane. It already was a cumbersome exercise, do you really believe this will yield good information? What if you could install some sensors, like in those car parks? Wouldn’t that be great? In fact, it is exactly what you can do. It’s a great first step of understanding the usage of your workspace, and whether you have enough or need more. It starts with installing sensors that measure, anonymously, the presence of people in rooms. During the day. In fact, 24 hours a day, 7 days a week. More precisely, every 5 minutes, the sensor measures occupancy. In 3 months, that means 13,000 data points are collected. With these, you can get real insight on the usage of your work space, and take well informed decisions about making it flexible with the right amount of floorspace and work stations. Not too much, costing you too much rent or inflated real estate prices. But also not too little, which would certainly decrease your employee satisfaction. A 40% more effective workspace? This is how you do it. There is no airline that will allow for an almost empty flight. They will cancel it and rebook you to a smaller plane. Why fly over a handful passengers and accept the cost of a large plane? We think it's time that you start managing your workplaces like airplane seats. Not possible? With office occupancy insight and certainty of available workplaces it is. You can read how to do that here. Workspace improvement begins simply by redefining what's there. You do not have a building with ten workplaces in Den Bosch and another with a lot of desks in Amsterdam. Instead, you have one workspace that happens to be spread over different locations. Our idea is that one workspace – the virtual combination of all workstations, instead of a collection of offices, generates the opportunity for optimal use of workspace. Moreover, you offer your users with a wider range of choices. The virtual office information allows everyone to make better choices; where to work, when to work, at what kind of desk or in which room. It also provides immediate insight in the actual occupancy and buffer levels. Across offices to everyone. Sounds logical...but do I not exclude people this way? No you don’t. In all fairness, before offering a virtual workspace you do. As staff that is in the position to come in early occupy the best or at least their preferred desk. Distant commuters, parents or evening persons on the other hand have less chance to do so. Our customers do experience some turmoil, the moment a level playing field arises among staff following the start of using iotspot. However, when these companies persevere and offer the mix of all available workplaces, the increased room for manoeuvring and workplace certainty is perceived as a welcome improvement among users. In the morning, during breakfast, people check the app and see the current availability of desks across the workspace. Favourites can be checked and free desks can be searched for a preferred location. If a spot is found that suits you, you can ‘book’ it as from the time you will most probably arrive up to the time you plan to leave. If you do not find a suitable spot, you decide accordingly; work from home or check in at another location. Yes, iotspot is attractive to the employee. But above all, it is a platform that gives the Facility and Property Manager maximum room to manoeuvre. Workspace efficiency can be further enhanced by ‘peak shaving’ and reducing volume. The occupancy and utilisation information tells you how and what and shows you the impact of your changes over time. And that same information can in the near future be used for predictive procurement of utilities and catering services. In short, it helps you manage the workspace and save costs. Want to know more? Please feel free to contact us or visit our website. Reduce safe but expensive workplace buffers? That is how you do it. Do you cater for a possible peak in workplace utilization? Is your office occupancy below 70%? 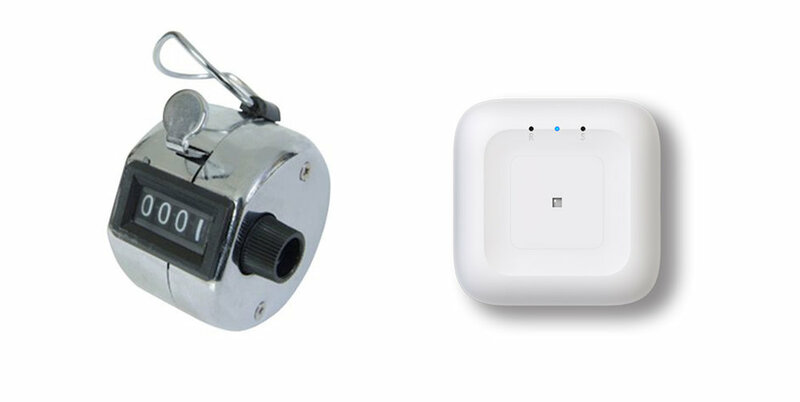 Then you are part of large group of companies that opts for a safe buffer. An expensive buffer that is most often based on staff annoyance and at best a one-off observation of a peak day. In our 18 months of customer experiences, we have not seen 100% occupancy. Changing course to a higher staff to desks ratio (agility) seems opportune. Exciting…. here we tell you how you can do that. In all fairness, do you know how often you have a peak in office occupancy beyond 85%? That is, less than 30 desks available in a 200-workplace office? Are these recurring or do they come as a surprise? Given our customer conversations and figures, we suspect most organisations do not have that insight and retain a buffer that is not supported by evidence. There is an alternative. Effective and efficient. Take on the route towards increased agility by providing real-time and location independent workplace availability information. We think in a lot of workspaces an agility of close to 50% can be achieved. That is worth the pursuit, but how do I mitigate risks? Our first question would be; what risks do you see? 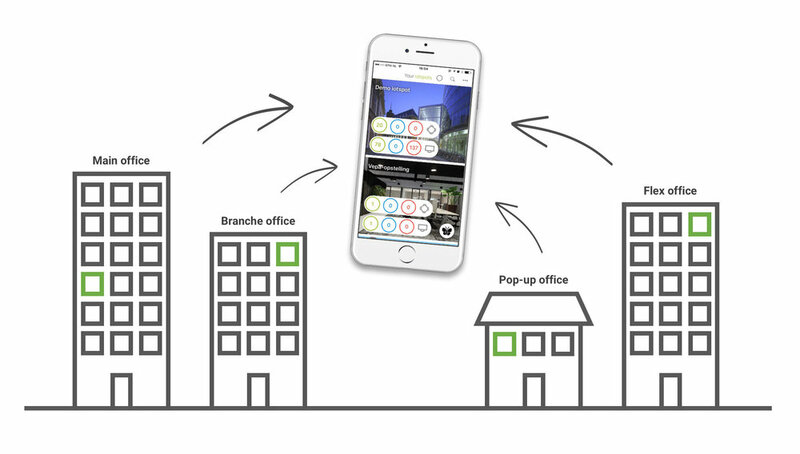 You start with your current situation, then generate office occupancy insight, share it with your users and guide them to available desks, redirect utilisation to low occupancy valleys and finally adjust office volume. Your users, all along the way, have 24/7 real-time availability information on their smartphone, with the opportunity to find and book free seats and search for colleagues. They are empowered with information and can decide themselves when and where to go to work. No one commutes to find a full office and in a joint effort you optimise your organisation’s workspace. For sure, we paint a rosy picture and resistance will come your way, but the status quo is at best uninformed and at worst unnecessary costly. Do you get our drift? You are more than welcome to respond to our drift or contact us for further dialogue: marnix@iotspot.co. Is your working environment generation Y and Z ready? Generation Z and the millennials form a growing group in the office. And while the online world determines a large part of their lives, they are looking for personal interaction at work. To real time response and feedback. They actually like working face to face. How to facilitate them? If you want to be in complete control as a manager, you will have to relinquish control from time to time. Sounds contradictory? Is it not. It will provide insight, opportunities and possibilities. Research shows that offices have on average 30% redundant workstations, while at the same time an astounding 65% of users perceive that office to be over-occupied. Is that the case at your workspace as well?